Voted Best Doctor - Montgomery County! Easy & Convenient 24/7 Access! Click here to request your appointment online! Our office will contact you to confirm or re-schedule your appointment. We accept most insurance plans. Contact our office if you have any questions, and we'll be happy to help! Dr. Scarborough takes his time helping each and every patient to truly educate on sustaining long health and wellness. "Great doctor who is more than willing to listen to you." "The clinic is very clean and appealing to the eye. Very quick as well." "He listens and he stays current with all of the most up-to-date info for good health!" "From the first phone call to my last visit has been exceptional." "Very friendly and understanding. Entire staff goes the extra mile to meet your needs." Dr. Kyle Scarborough is a family doctor at Family Life Medical in Conroe, Texas. Dr. Scarborough offers care for the entire family, including wellness exams, diabetes care, hypertension treatment, geriatric care, well woman exam, school physicals, and pre-ops and hospital follow ups. Dr. Scarborough is a native Texan who received his undergraduate degree at Texas A&M University, College Station, and earned his medical degree at University of Texas. He completed a residency at Southwest Memorial Hospital, Houston in 1992. Dr. Scarborough moved to Conroe in 1993 to join the Sadler Clinic. After 25 years in practice, Dr. Scarborough is now deeply tied to his community and is proud to offer the best in medical care through his private practice. Dr. Scarborough, fondly known as "Dr. K" by many of his patients, serves patients of all ages and is happy to work with every member of your family. 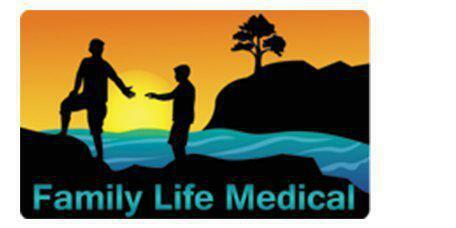 Call Family Life Medical anytime for an appointment with Dr. Scarborough. We Offer Same Day Appointments. Call Us Today! "The entire staff is efficient , friendly and well trained. Have had nothing but good experiences at this clinic." "Dr. Scarborough is wonderful. Takes all the time you need, and listens to you. His staff is awesome. I highly recommend him." "I have been seeing Dr. Scarborough for a long time and love him! His staff is very efficient as well!" "Love the staff, love Dr. Scarborough. Best doctor's office I've ever had the pleasure of having to visit!" "There are not enough words to describe this wonderful doctor and his staff. He truly cares about you as a person as well as his patient"
"Dr. Scarborough treats my entire family! Kind, thoughtful and shows an interest in his patients."